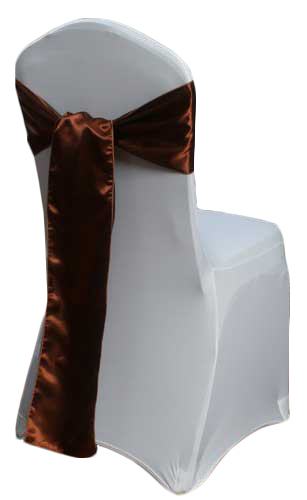 Elegant copper polyester satin chair sashes for rental for your event. Half-price rental when renting 50 or more Banquet Chair Covers. Neatly pressed and bagged for your event. Shipped Nationwide.